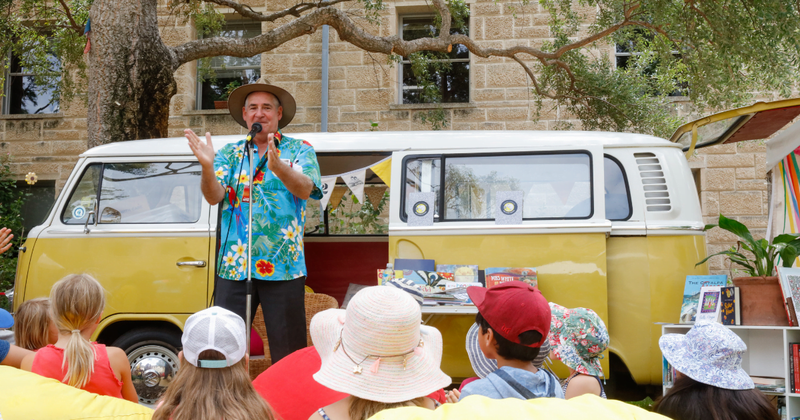 There is an abundance of great bookish events being held this year at libraries, bookshops and as part of literary festivals across Australia – and children will love going to them. These are great opportunities not only to celebrate books, but also to enjoy a first-hand experience with their favourite author or illustrator – and even better, find new ones to fall in love with! 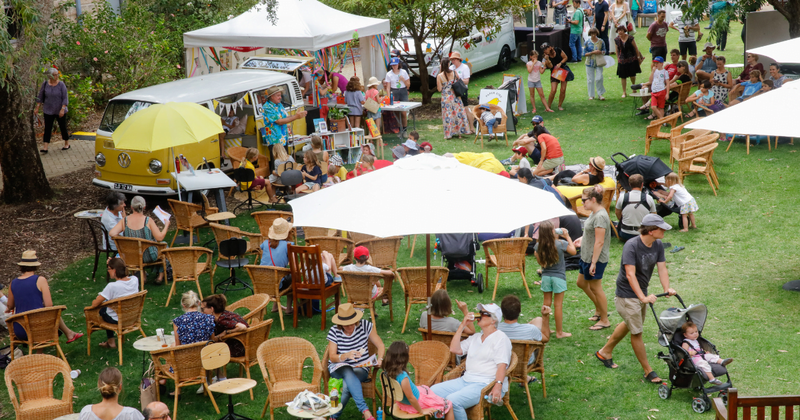 This weekend, it’s Western Australia’s turn and if you happen to be in Perth then make sure you check out Family Fun Day. The line-up covers both days and there are sessions on picture books, zines, comic books, storytelling sessions and craft. Take a look at the kids/family program here. Expect to see lots of great children’s authors and illustrators including Davina Bell, Allison Colpoys, Ian Mutch, Mike Speechley, Kelly Canby, James Foley, Dianne Wolfer, Andrew Hansen, Jessica Roberts, Rachel Bin Salleh, Samantha Fry, Karen Foxlee and more. Perhaps the most exciting event that is part of the line-up in 2019 is ‘Curated by Kids.’ Late last year ten book loving children aged between 10-12yrs were selected to take a very active role in the kids’ program for the festival. This group – find out more about them here – have worked hard to put together a very special selection of events for kids. They haven’t given much away about their plans so prepare to be excited and surprised! The festival’s ‘Kid Curators’ work with local, national and international authors and illustrators. They have participated in two days of workshops, where curators learn all the skills they need to design and present sessions at Writers Week. They are in control of all aspects of the program, down to designing the format for the sessions, selecting guests and creating questions to ask each guest. 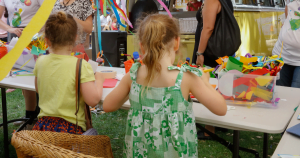 In 2018 Kid Curators interviewed authors like Maggie Beer, Sofie Laguna, Josie Boyle and Gabrielle Wang. You can find out about the 2019 Kid Curators here. Paper Bird Combi Storytime is a favourite and runs across the weekend. The kids (and tired parents) can sit back on the grass in the shade and listen to wonderful stories being read aloud. Jessica Walton will read from Introducing Teddy, Davina and Alison Colpoys from All the Ways to Be Smartand Rachel Bin Salleh and Samantha Fry will read from Alfred’s War. Most of the events are free and sessions run regularly throughout the day, so make sure you put them in your diary.